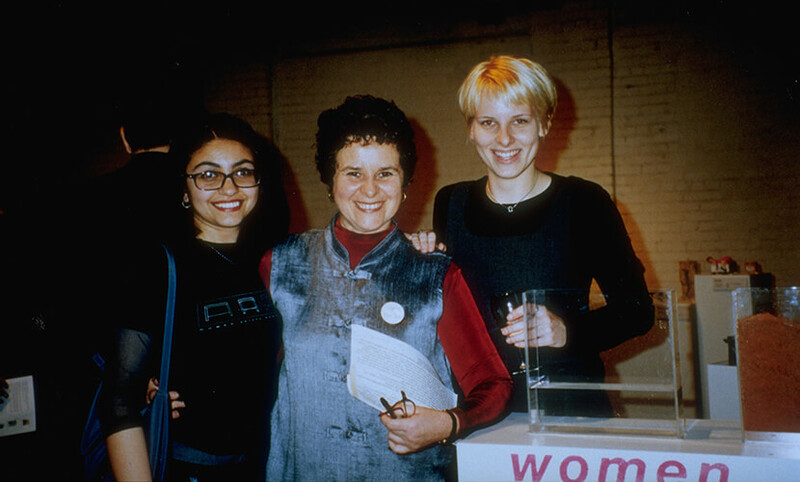 Lorraine Serena initiated WBB in 1991 with the intention of celebrating and connecting women artists around the world. 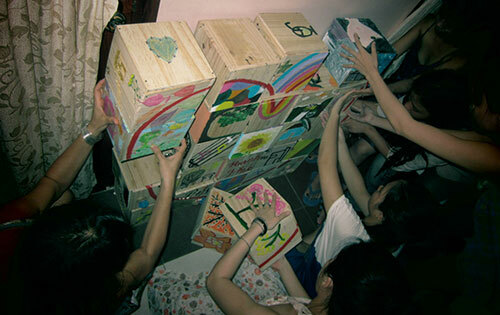 During an early gathering with artist friends, a small box caught the attention of the group. Evocative of a vessel, womb, tomb, gift, shrine, the box provided a powerful symbol for women. Women Beyond Borders is about dialogue. It is a gathering together of women so they can identify themselves, which is - speak for themselves. The importance of this action in a global society cannot be overestimated. 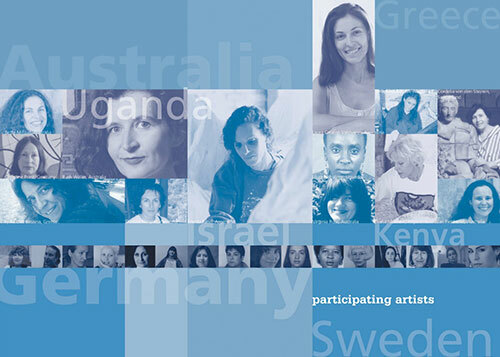 The initial “call for entries” drew on the relationships and contacts that the project founders had with curators and artists abroad. 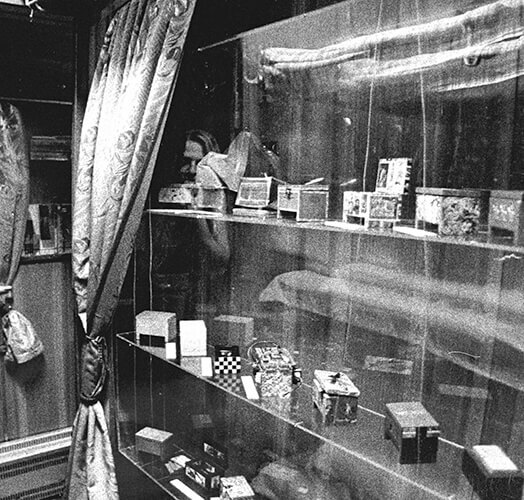 As a result of the first outreach in the early 1990s, more than 185 boxes were received and exhibited. 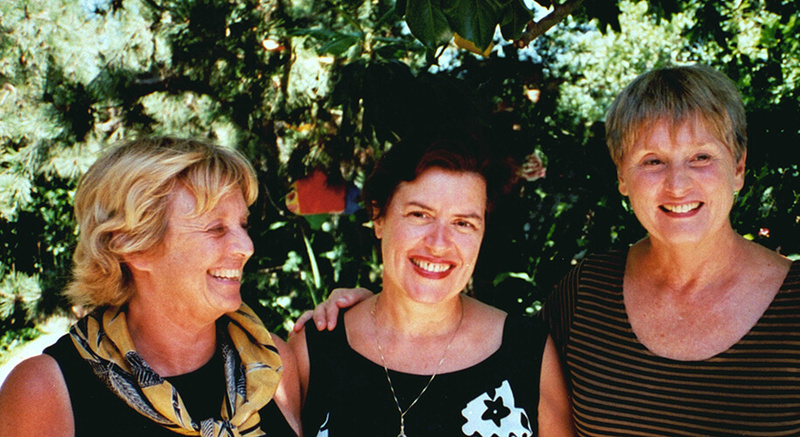 "WBB was a timely endeavor documenting women's visions and connecting them at the end of a century which had seen their struggle for rights and freedoms. It was one of our most popular shows and meaningful exhibitions and surpassed all of our expectations!" Betty Ann Brown moderated the discussion that included women from various sides of the feminist movement including: Dean Dresser, Cheryl Dullabaun, Cheri Gaulke, Sondra Hale, Rosalie Ortega, Sandra Rowe and Lorraine Serena. Community building is, above all, an art movement about inclusion. 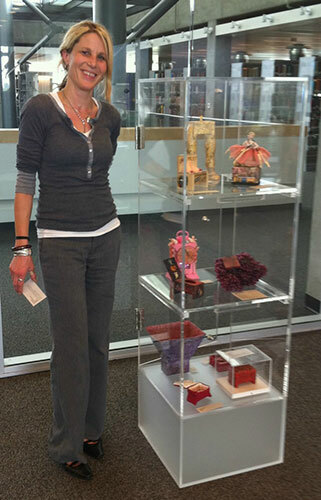 WBB Artist and Curator, Elena Siff, gave her daughter, Ravel, a dozen boxes to bring along on her trip to Israel. 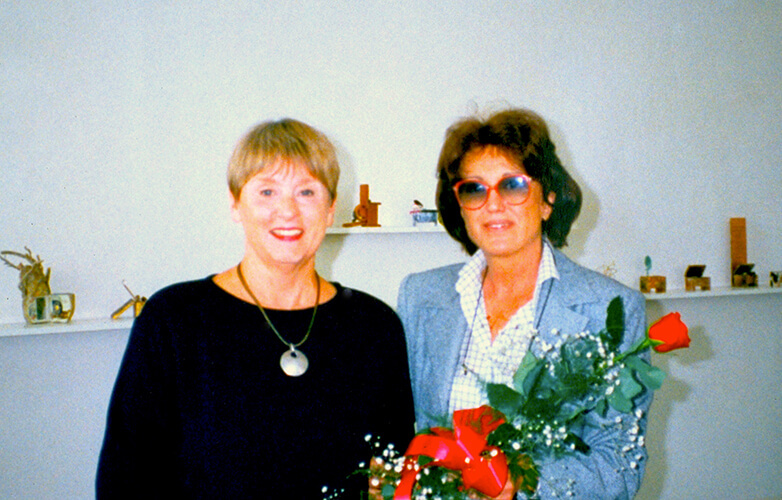 Curator Daphna Naor, upon receiving the boxes, engaged artists and organized the first international exhibition. 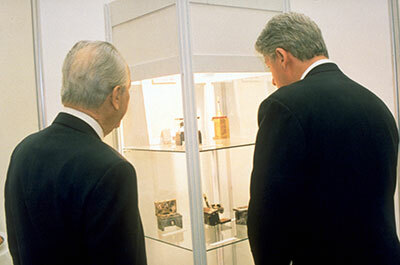 Photo: Presidents Bill Clinton and Shimon Peres at the opening ceremony in Israel. Worldwide parameters of communication became possible with the advent of the digital world. 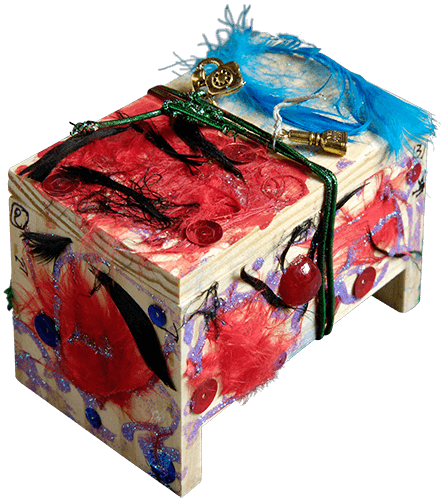 The 'box creations' established a network of female artists who maintain an international dialogue. 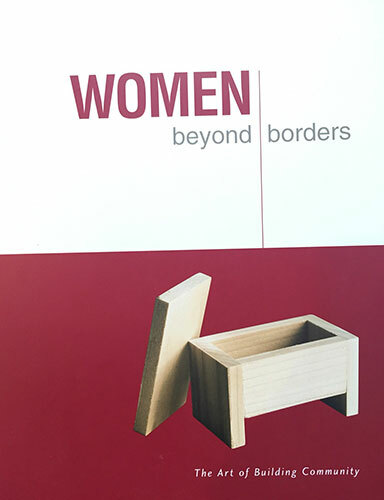 WBB boxes were displayed in conjunction with an exhibition of vessels and objects from 5th Century, entitled Pandora: Women in Classical Greece. Both exhibitions illustrated the strong need for solidarity throughout the centuries. WBB reinforces the fact that we are in great and immediate need of an open and honest communication which moves us toward a spiritually rejuvenated plane of human relationship among the members of the worldwide family of art. In spite of many obstacles this unprecedented exhibition, installed in a Russian sleeper car, made its way through recently open borders from Graz, Austria to St. Petersburg, Russia. Travelers viewed the exhibition and others attended receptions in train stations throughout Hungary, Ukraine, Belarus, Lithuania, Latvia and Estonia. Passengers stayed with us for hours into the night discussing the project. Everybody told us that this trip would be impossible. I like to do impossible things. The WBB exhibition opened as a result of the determination of Princess Katya Galitzine and Polina Fedorova, WBB Curator and Artist. As viewers examined the boxes they felt terror and awe at the intense and direct universal expressions. After seeing boxes from Vietnamese, Cuban and Israeli women, I felt such a great pain in my heart. I understood the cries, tears, and sorrows of the persecuted nations. The boxes open up the worlds, souls and hearts of women for others to understand and to help us to find strength in our future fight with our destiny. Sponsored by the Getty Education Institute for the Arts and the Southern California Institute for Visual Arts, Lorraine Serena and Beverly Decker held workshops for 185 participants from Los Angeles and Santa Barbara areas. WBB Curator and Artist Yoni Waite expressed that women in Africa have been subjugated for years as chattel, yet recently many have begun finding their voices and power. 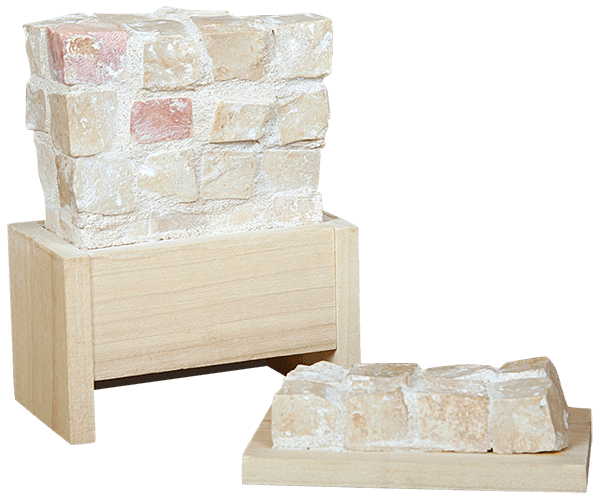 Themes encompassed reverence for home and culture, imprisonment of body and soul, and respect for the mystery and magic of nature. 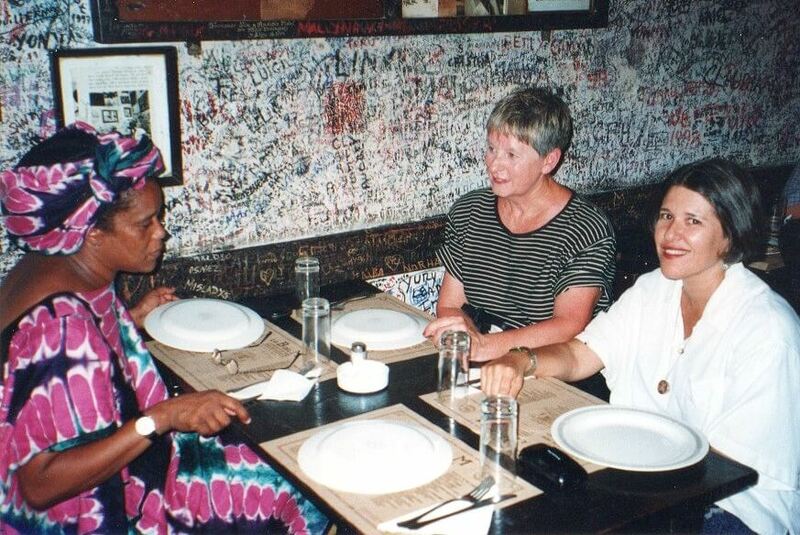 WBB was the first exhibition of women’s art to be held at the National Museum of Kenya. Several of the most prominent Yugoslav sculptors, painters and emerging artists gathered at the opening celebration in Belgrade. Their creations reflected the depth and poetic approach of each participant in the midst of war. All the press wrote about was the exhibition and it became the talk of the day! From a temple in Kathmandu to the Dufferin Mall in Toronto, WBB continually reached out to unique venues and wider audiences. 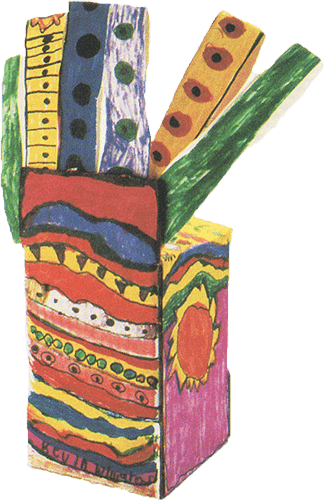 In addition to the participation of Canadian artists, the Toronto School District sponsored hundreds of students from across the city to participate in numerous workshops. All of these artists, along with their many Canadian and worldwide colleagues, shared a distinguished consciousness of community, creating a genesis of global consciousness that borders, with all their powers, can no longer keep contained. 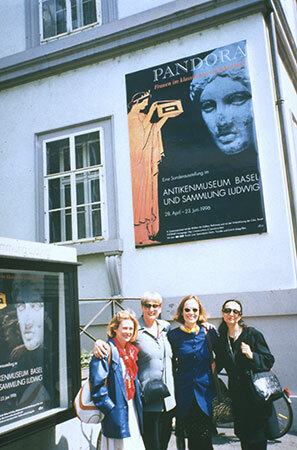 The WBB exhibition was the second cultural exchange with North American artists after the blockade. Summer brought with it to Havana a breathless cultural activity of special relevance in our aesthetic environment and of great resonance at an international level. Cuban artists revealed symbolic issues that defined their tremulous times. 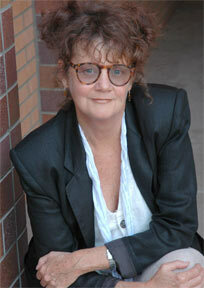 - Magda Gonzalez, Curator and Founder, Wifredo Lam Center, Havana. In the forested hills of Hamamatsu, the Akino Fuku Museum celebrated the opening of WBB’s arrival with formalities, including the resounding atmosphere of women Taiko drummers. Gallery One Park Tower, Tokyo, hosted the exhibition in the midst of a bustling urban atmosphere. Shoko Tomo and Yoshihiro Ikka, Curators. I have never been to Finland, Cuba or Japan. 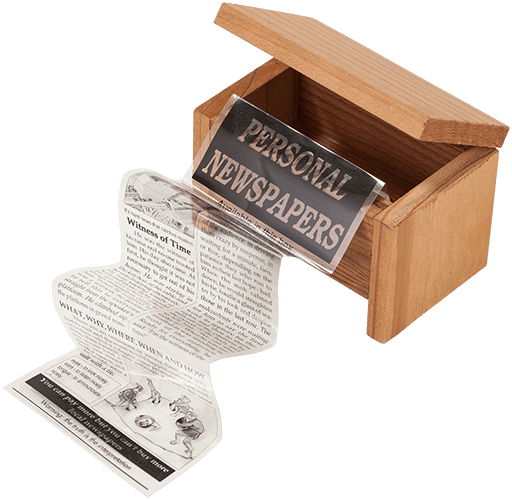 However, in the creation of their boxes, something personal has been revealed. Something intimate has been shared. To others this may seem a very tenuous connection on which to base a sense of community. However, to me, it is powerfully real. Usually social commentary comes from the art critics of a culture, taking years to unfold. However, this is an all-at-once, all together, informal global commentary. This box exhibition has inspired conversations that are so different, so varied, that any issue or all issues arise. Exhibitions at International airports reached thousands of travelers daily. Singaporean artists took a step further to encourage dialogue, by connecting with another person or community, creating collaborative boxes. The first lady of Singapore, Madame Goh Chok Tong led the ceremonial opening. Celebrating women worldwide for their creative expression, this multimedia exhibition explored the ten-year history and social impact of WBB. Boxes were also exhibited by Youth Beyond Borders and Girls Inc.
WBB is an inspiring, thought-provoking and aesthetically thrilling project. 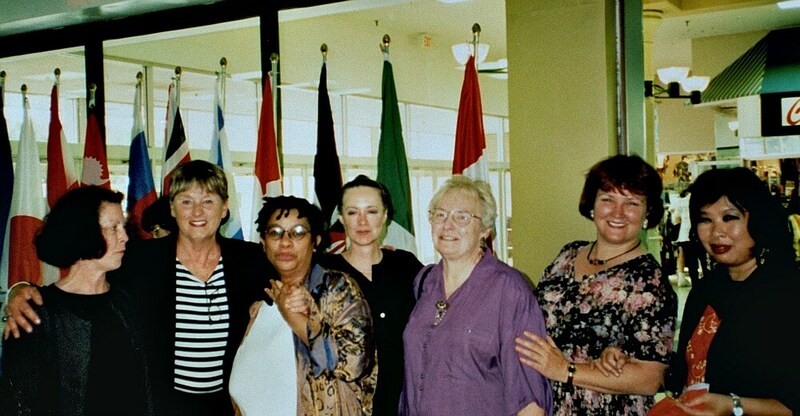 The connections it has fostered between nations and among women are remarkable. 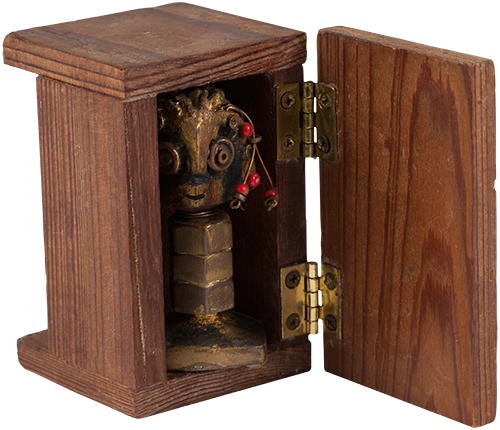 It also becomes a testament to the unbounded possibilities of human creativity, tested in the seemingly simple transformation of a small wooden box. Unabashed idealism was at the core of the effort, as noted in the mission statement explaining that the project ‘challenges limiting categories and shifts toward a reality beyond divisions of class,politics, race, creed, and geography.’ Those would be lofty words filled with air were it not for the evidence amassed here. What it means to be a contemporary woman artist on the cusp of the millennium was the impetus for the Utah artists. In addition, VSA (Very Special Arts) invited more than 6,000+ children with disabilities from 41 states and 83 countries to participate. 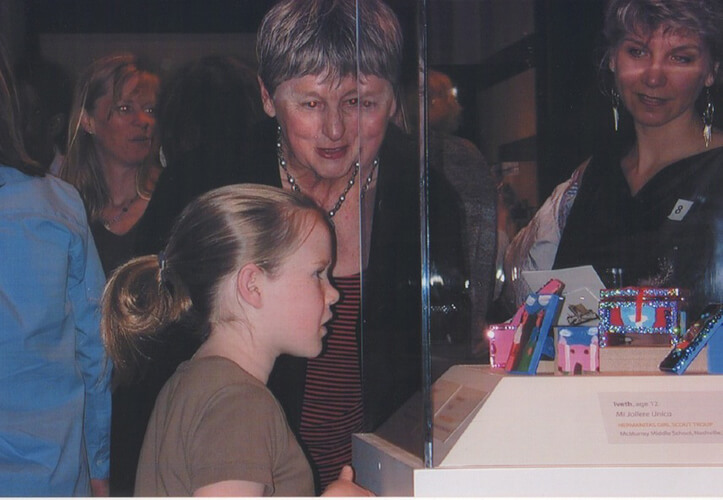 A selection of Children Beyond Borders exhibition was concurrently displayed. The exhibitions were deemed one of the top five cultural events of the Cultural Olympiad. 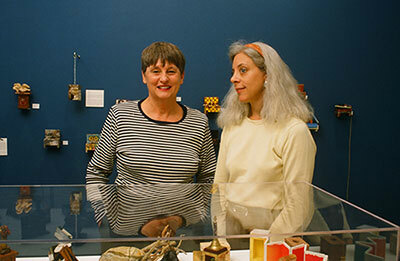 The Frist Center for Visual Arts encouraged adjunct projects, including 1,000 teachers and students from the Nashville School District and other various groups. Workshops were held at the Renewal House and Magdalen House, recovery communities for women and their children who are suffering from alcohol, drug abuse and prostitution. The exhibition drew a record 52,000 viewers, the largest turnout to an exhibition in the museum's history. Elaine Tajima of Tajima Creative developed the concept of pairing established artists with prominent community activists, politicians, authors and business leaders, such as Restaurateur Alice Waters, Army Lieutenant Laura Klein, US Senator Barbara Boxer, legendary Civil Rights Activist Yuri Kochiyama and Actress/Author Fannie Flagg. Included in Seattle were boxes by homeless women and girls at risk. The publication of The Art of Building Community traces the initiative’s journey and social impact on a local as well as a global level. More than 55 boxes by Tutsi widows of the genocide were created at a workshop in Kigali in an effort to help the women work through their loss and grief. 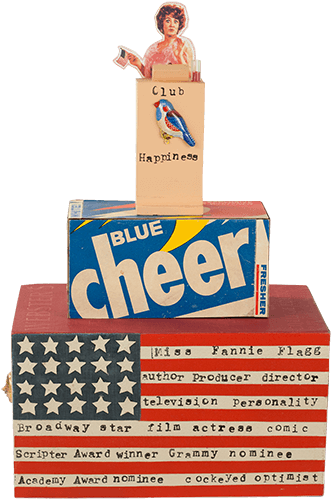 The transformed boxes and statements reflect the atrocities and immensely personal hardships they endured in their attempt to cope with memories. Many people died and the majority of genocide survivors are struggling for life. The telephone you see is calling for help. Inside the box, there is my heart. I will never forget the blood that was shed. The blue color means that I hope to live happily. More than 1,200 fifth graders from Missoula County came to the museum throughout the three-month long exhibition to view the boxes and to discuss women’s issues. While observing the exhibition, the boys and girls collected information, culminating in earnest discussions that gave the students new insights into women. 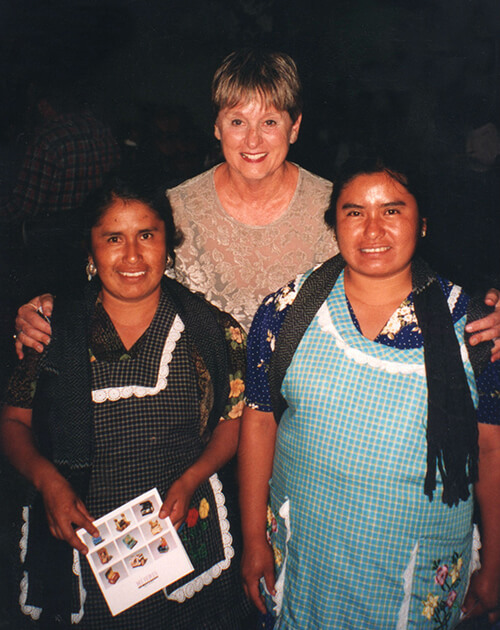 Missoula, Montana continues to feel the ripple effect of Women Beyond Borders. The influence on the community has been greater than any other exhibition at the Missoula Art Museum. 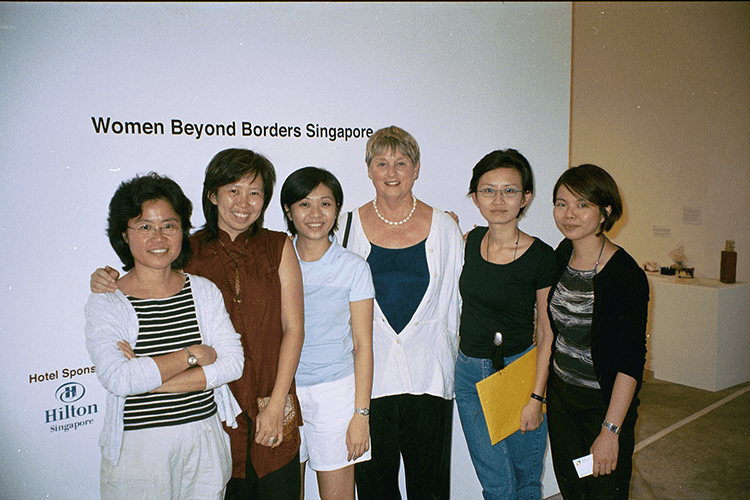 > 2007 The US President’s Committee on Arts and Humanities gave recognition to Women Beyond Borders for its size, scope and cultural impact. WBB Founder and Artist, Lorraine Serena, received the Women’s eNews 21 Leaders of the 21st Century Award for Building Peace and Connections around the world. A gala benefit honored the 21 leaders in New York City. Reflections on the Body was the theme for the WBB exhibition held in conjunction with a weeklong series of events that took place during National Eating Disorder Awareness Week. The boxes selected for the exhibition provided an inner space as well as an interface, becoming a metaphor for the body itself in its myriad expressions, as well as a vehicle for introspection and dialogue. Headed by Diep Vuong of the Pacific Links Foundation, the aim was to support the reintegration process of young women survivors of human trafficking along the Northern and Southern borders of Vietnam. With the goals of self-development, reflection, and healing, the project focused on helping young survivors begin to rebuild their lives through art and group sessions. The girls worked together to create boxes, paint and assemble them into a collaborative mosaic, symbolizing the individuality of each woman and the interconnectedness of their journey.